Design craft coupled with strategic purpose can create great results for business. Cypher strive to build long term relationships with their clients and assist them to evolve and grow their business endeavours. 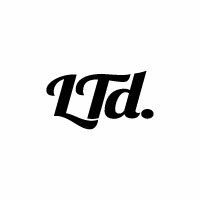 Their aim is to help SME’s and their owners find meaning in their brand, and communicate it with their audience in a human and authentic way. They are a collaborative, flexible and responsive creative partner. Capabilities encompass brand + identity design, strategy, print communications, packaging, branded environments, way finding + signage systems, website design, photography, art direction and asset toolboxes. At the heart of any successful company is its people. To create rock solid relationships built on trust, dependability, integrity and excellence at every level, you need the very best people. What sets Form apart is our desire to be the best of the best and to add significant value to our clients’ projects. 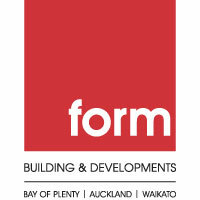 From concept to completion, in the areas of feasibility assessment, design, project management and construction, Form has highly skilled, capable and experienced teams in the Bay of Plenty, Waikato and Auckland. Their genuine passion for what they do and their desire to partner with their clients, working alongside them, and their business partners, for a successful outcome, is what defines them. Form are a people business – they care about their team, their business partners, their clients and they believe this shines through in daily interactions and in the end result. Lionel Taylor is a creative based in the Bay of Plenty, New Zealand. 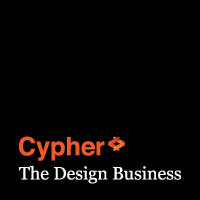 He is the creative partner at Cypher – The Design Business and contracts as a creative director & brand design lead for a number of regional, national and some international business entities. 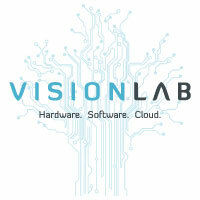 VisionLab – Your Trusted Information Communications Technology Partner. Enabling Future Technologies. VisionLab provide, service and maintain Information Communication Technology (ICT) for business people doing business. They offer a range of technical services to enable businesses continuity of ICT systems – from specification and design, to implementation and support. Their solution architects will ensure your business systems are built embracing new and future technologies.